We don't need no stinking hard hats! "The Babcock & Wilcox Company was awarded a contract in 1932 to manufacture and install the Dam’s penstock system that connects the structure’s four intake towers to the power plant and outlet valves. 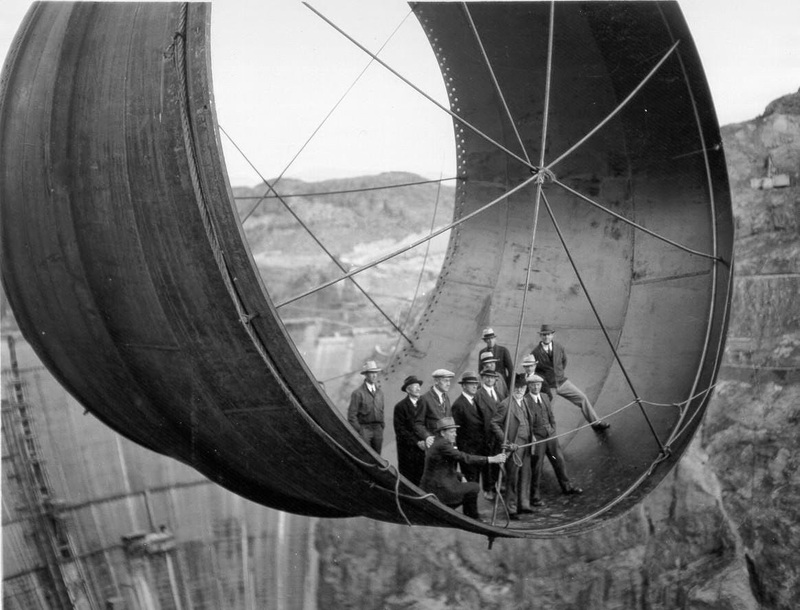 The penstocks and outlet pipes were fabricated from 45,000 tons of steel and welded into nearly three miles of pipe varying from 8 ½ to 30 feet in diameter."